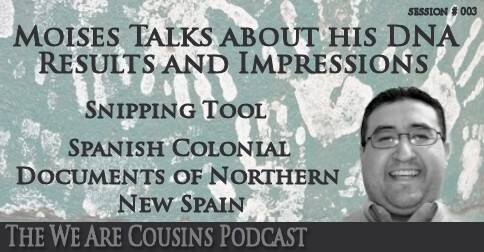 Moises Garza from the We Are Cousins Blog reveals all of his research strategies and resources, killer tips and tricks that can help you get ahead in breaking brick walls and finding your American and Mexican ancestors. Discover your passion for Genealogy specially South Texas and Northeastern Mexico Genealogy. Although Moises confesses that he is not a professional genealogist his love for his genealogical passion is evident, has been in a quest to uncover his ancestors since 1998 and is very knowledgeable. Moises has even conducted research for PBS’s Finding Your Roots. Over 400 amazing people have subscribed to my newsletter — and you’re amazing too! Receive my free eBook “30 Websites for Your South Texas and Northeastern Mexico Genealogy” when you join.